In the Case of Presentation of Forged Certificate against Governor Nyesom Wike, pending before Hon. Justice I. E. Ekwo of the Federal High Court 6, Abuja, fixed for judgement on 08/03/201), Governor Wike on Friday (01/03/2019) revealed to his Social Media Team led by one Oraye St. Franklyn and assured them that he had “fixed the judgements”. By Oraye St. Franklyn Esq. and Chima Aguma Esq. Gov. 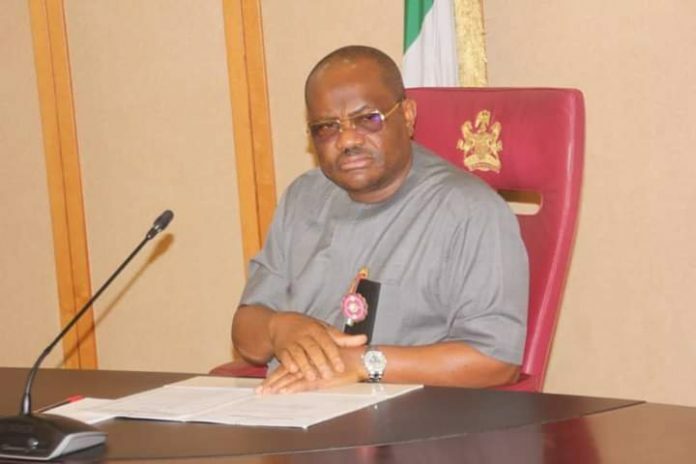 Wike has been accused of falsifying his age. It is within the rights of his accusers to make the accusation. Anybody can accuse anyone about anything under the sun. Mere accusation does not amount to proof of culpability. To be culpable, the accusation must be proven with evidence to be fact. The act of Proving with evidence in a court of law cannot happen without going to full trial and calling witnesses. So you see, accusation is not enough. A contentious issue as falsification of age must be proved beyond reasonable doubt. The big question is whether the Governorship Candidate of the PDP in Rivers State who is also the Sitting Governor of Rivers State and being accused, whether or not justifiably, can stand trial or be tried for the accusation given that by virtue of his subsisting office, he is immune from trial of whatever kind? If indeed he cannot be tried, as the Constitution provides, how can the court determine his age without hearing from him? Or are we saying his hair would be shaved in his absence? Anyway, let’s leave that and see what the position of the court is on a related and similar matter. PRINCIPLE: “I have restated earlier in this judgment also that the nature of the allegation lodged against the 3rd respondent by the appellant is firmly rooted in criminality and which must be proved beyond reasonable doubt as rightly held by the lower Court. See Section 135(1) of the Evidence Act; See also the cases of Boyo v. Ngidda (2004) 8 NWLR (Pt. 876) 544; Yakubu V. Jauroyel (2014) 11 NWLR (Pt. 1418) 205; Yusuf v. Obasanjo (2003) 16 NWLR (Pt. 847) 554. In proving beyond reasonable doubt, it is not enough for an appellant qua plaintiff to demonstrate the act of falsification of age, it is also incumbent on him to establish that the act was intentional. In other words that it was done with the intention to gain an advantage by the alleged act of criminality. As rightly submitted on behalf of the 3rd respondent, this again brings us to the provisions of Section 177(b) of the 1999 Constitution where mens rea in falsification of age for eligibility to contest election as Governor must, of necessity, relate to circumventing the age prescription of 35 years to contest election. With the case at hand, having been instituted under an originating summons procedure which is triable on affidavit evidence, it cannot serve as a means of proving criminal allegation beyond reasonable doubt. a) That there is a document in writing. b) That the accused knew the document to be false. c) That the accused presented the said document to the other party with the intention that it would be acted upon to the detriment of the victim in the belief that it is genuine. See Smart v. State (1974) 11 SC 173; also Awobuti v. State (1976) 5 SC 49 and Daggash v. Bulama (2004) 14 NWLR (Pt. 892) 144 at 232. For all intents and purposes, the appellant did not lead any evidence to show that the purported false declaration in age alleged against the 3rd respondent were falsified with the criminal intent of meeting the constitutional age limit of 35 years set by the Constitution. Moreover, in the absence of any evidence that none of the purported age declarations was acted upon to the detriment of anybody, the issue of forgery could not have been proved. It is pertinent to state also that the appellant did not appeal the lower Court’s finding in accepting the fact that the mistake in the entry on the 3rd respondent’s nomination form was that of his aide and not intentional. Again, the appellant did not deem it necessary to appeal the above specific finding. Thus, the appellant conceded to the lower Court that he (the appellant) could not prove the allegation of falsification of age beyond doubt vide affidavit evidence. It is imperative to say further that the appellant with the burden of establishing which of the two sets of age declarations Exhibit JA1 and JA10 is original or counterfeit document as portrayed by paragraph 17 and 20 of his affidavit on page 341 of the record. Affidavit evidence would make it virtually impossible for the appellant to prove the allegation of forgery/falsification of age beyond reasonable doubt in the circumstance which would otherwise require proof based on identifiable, cogent and compelling evidence. See Uwagboe v. State (2008) 12 NWLR (Pt. 1102) SC 621 at 647, also Ikenta Best (Nig) Ltd v. A.G Rivers State (2008) 6 NWLR (Pt. 1084) SC 612. For forgery or falsification of age to be sustained, the documents purportedly forged must be a false representation of genuine documents. This is because it will be preposterous to allege the forgery of a fake or counterfeit document, as rightly submitted by the senior counsel for the 3rd respondent. See the cases of ACB Plc. v. Ndoma Egba (2000) 8 NWLR (Pt. 667) 387 at 401, Adelaja v. Alade (1999) 6 NWLR (Pt. 608) 544 at 558, Ikoku v. Oli (1962) 1 SC NLR 307 and Adewale v. Olaifa (2012) 17 NWLR (Pt. 1330) 478. 1. the law is clear on the fact that a contentious issue as this allegation/accusation cannot be brought to court by means of originating summons (affidavit evidence). Gov. Wike’s accusers did so by means of Originating Summons and not Writ of Summons (Trial by calling of witnesses). 2. Originating summons which rely solely on Affidavit evidence is not a means of proving a case beyond reasonable doubt. Rather a writ of summons is the right procedure where witnesses can be called. 3. Nyesom Wike as candidate is not compellable by law to be brought to trial by virtue of his office as Governor of Rivers State.